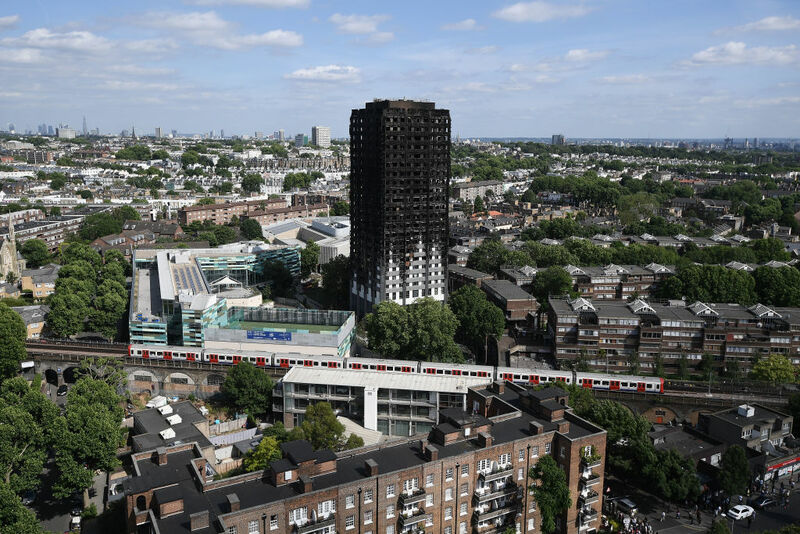 A government-backed initiative to cut ‘red tape’ after Brexit was looking to reduce the ‘burden’ of EU building regulations just weeks before the disaster at Grenfell Tower, according to leaked documents obtained by Unearthed. Rules including EU directives covering energy efficiency and fire safety standards were even being discussed with industry and other stakeholders on June 14 — the very day of the tragedy, which claimed at least 79 lives. A policy briefing produced by lobbying firm Hanbury Strategy for the Red Tape Initiative, a cross-party project chaired by Conservative MP Sir Oliver Letwin and until recently involving Michael Gove, lists five EU building regulations that could be amended or repealed after Brexit. The list includes the EU’s Construction Products Regulation, which sets standards for construction materials traded across the EU such as cladding; it also puts fire safety at the heart of its ‘basic requirements for construction works’. The Energy Efficiency Directive, the latest version of which the UK is lobbying to weaken at an EU level, and the Energy Performance of Buildings Directive also feature in the document as potentially ‘burdensome’ laws. Hanbury Strategy is a political PR and research firm founded last year by Vote Leave’s head of communication Paul Stephenson and David Cameron’s ex-aide Ameet Gill; it recently recruited Theresa May’s former press secretary Lizzie Loudon. The Red Tape Initiative is one of their few known clients. Nick Tyrone, Director General of the Red Tape Initiative, told Unearthed: “We hired Hanbury to do us a ‘first look’ at what possible regulation from the EU might be relevant to the sector. “The one they did for us had a wide range of items, most of which the sectoral panel rejected as items to discuss any further. He said the purpose of the project was “to find things that would find cross-party and cross-spectrum support” and that it is “not looking to cover anything controversial that would fail to gain such support, such as health & safety, employment rights or immigration”. Hanbury Strategy declined to comment. The briefing is written on Hanbury letterhead and entitled ‘The EU’s Impact on the UK Housing and Construction’. The document’s metadata dates it to May 10th of this year, and suggests it was co-authored by Alex Hackett, a researcher at the Red Tape Initiative who used to work for climate and eurosceptic MP Bill Cash. The paper spotlights 5 key EU laws – Energy Performance of Buildings Directive, Construction Products Regulation (2011), Energy Efficiency Directive, Mortgage Credit Directive, EU Construction and Demolition Waste Protocol – and provides a column with ‘examples of UK criticism’. The document then provides what it calls a ‘Brief critique of EU Housing and Construction Red Tape’ in which it says building and housing regulations have “been identified as a cause for concern” and cost councils and housing developers millions. It closes by offering a glimpse at its ‘Next Steps’ which boil down to providing more in-depth analyses of the costs of EU red tape, and the potential savings of cutting it. The Red Tape Initiative was launched back in April with the purpose of creating a consensus on which regulations could be removed once the UK leaves the EU. Upon introducing the project, its chairman Sir Oliver Letwin said housebuilding would be one of three priority areas to be targeted in the deregulatory drive. Letwin said they were planning to launch around 10 inquiries to seek views on what EU regulations could be jettisoned. He also said Business Secretary Greg Clark wrote to the initiative, offering the cooperation of his department.